Martha Stewart has a pretty medicine cabinet, all in silver, wheat, and green tones. She has grouped items together by use. I saw this medicine cabinet a year ago on Real Simple . . . I don’t like the look at all, BUT I liked the idea of containing items. 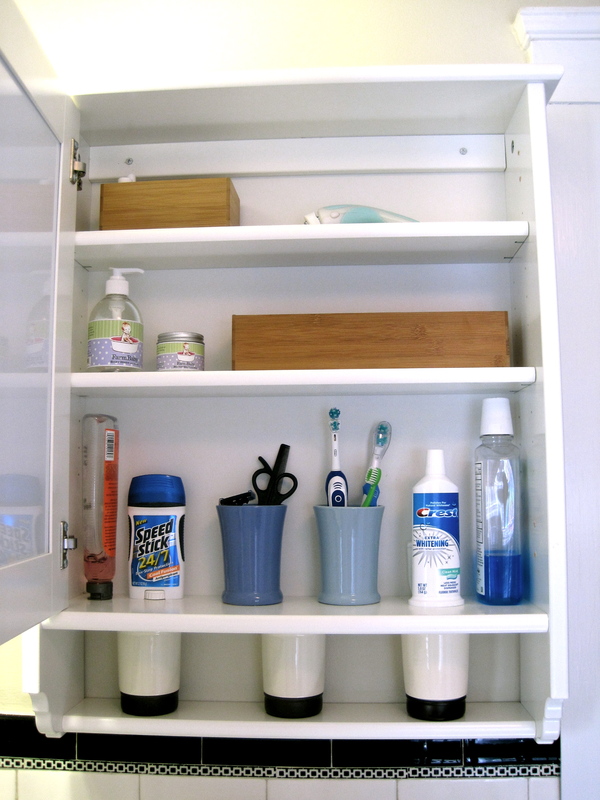 So we did a medicine cabinet makeover back in 2009, and it has stayed organized and simplified since then. We bought the bamboo boxes at Bed Bath and Beyond. The tiny one holds little meds for Colton and the bigger one one holds band-aids and such for us. Tip of the day: contain your medicine cabinet. 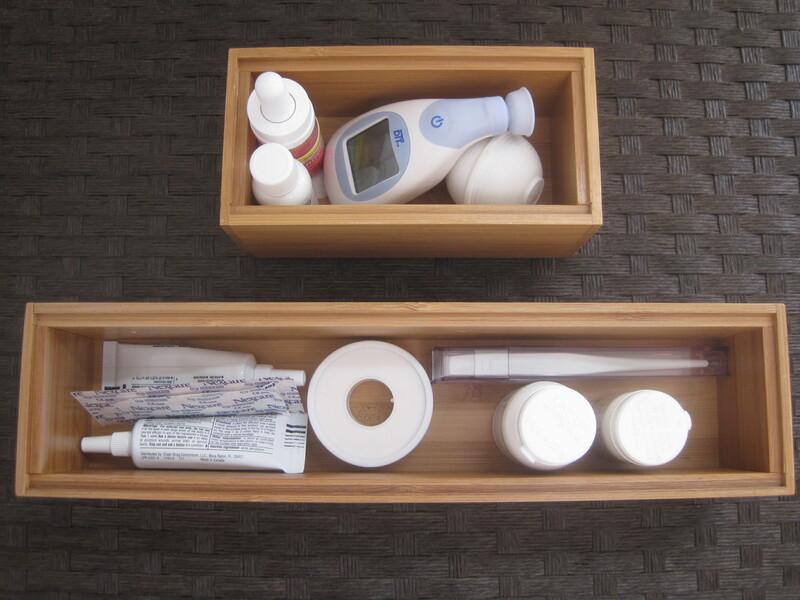 Clean it out and keep what you need in grouped by use and in containers.